NCSOFT makes hugely popular online games. When a game hosted in-house sees a spike in, that demand, the company needs to be able to scale into the hybrid cloud smoothly. 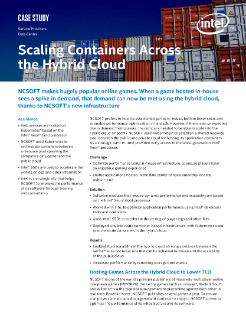 NCSOFT used Kubernetes* to establish a shared resource pool between the public and private cloud for hosting its application containers. TIA NOW discusses the process and shows a demo of 5G.